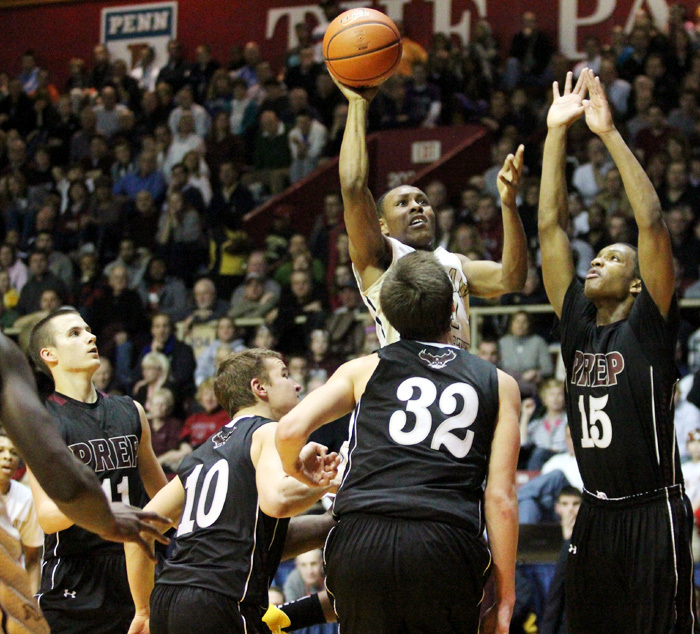 St. Joe Prep senior Miles Overton attempts to block a shot by Neumann-Goretti junior Tony Toplyn. 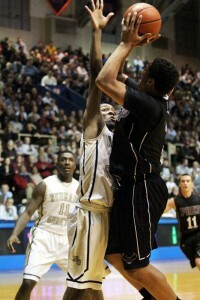 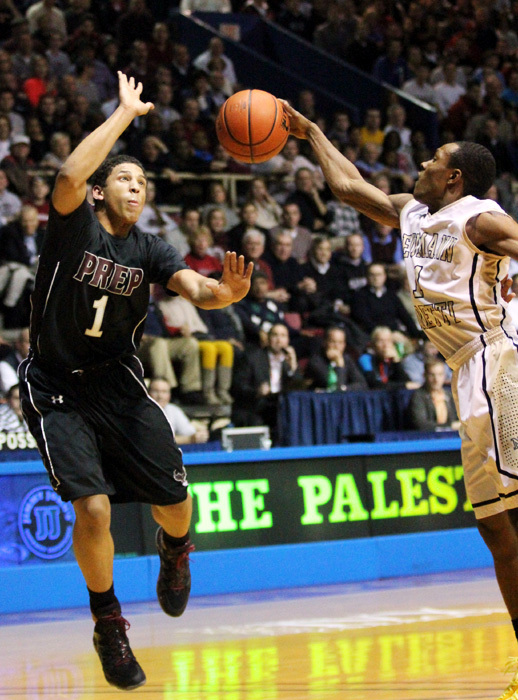 St. Joe Prep senior Miles Overton blocks a pass by Neumann-Goretti senior Hanif Sutton. 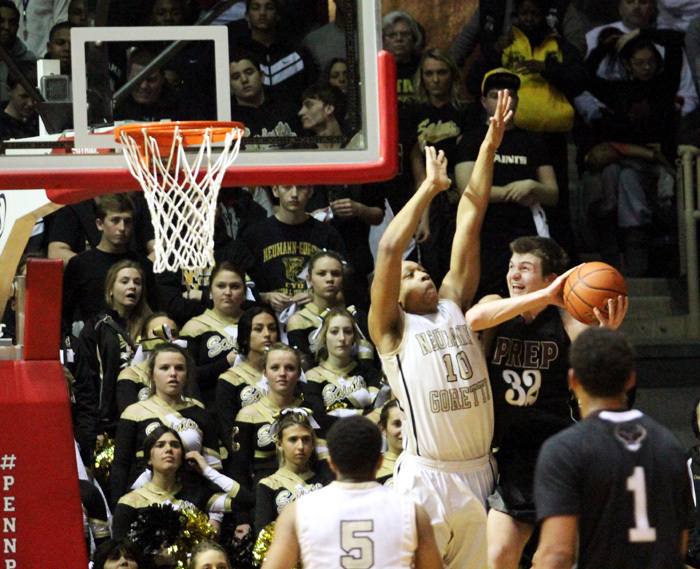 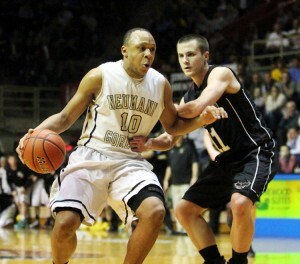 Prep’s Stephen Vasturia is double teamed by Neumann-Goretti’s Troy Harper and John Davis. Prep sophmore Chris Clover goes up to bock Nuemann-Goretti senior John Davis. 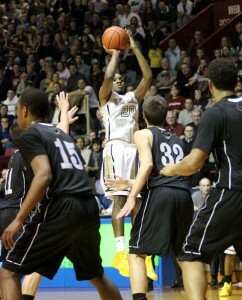 Neumann-Goretti’s Ja’Quan Newton makes a jump shot during the championship game against St. Joe’s Prep. 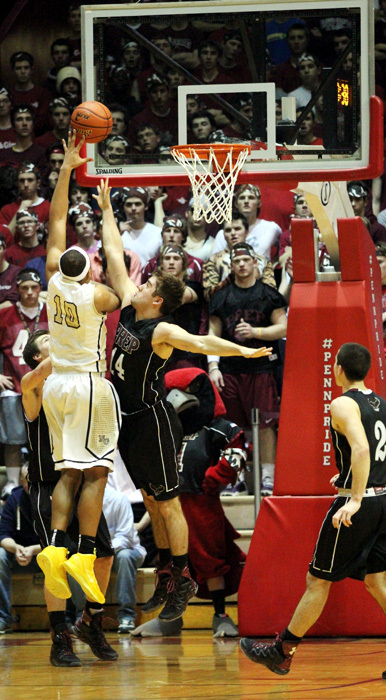 Neumann-Goretti’s Hanif Sutton goes up for a shot surround by Prep’s Kyle Thompson, Dan Nedbal, Stephen Vasturia and Dan Sherry. 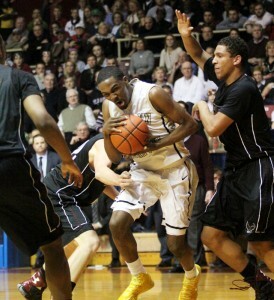 Nuemann-Goretti’s Ja’Quan Newton hold tight to the ball as Prep’s Miles Overton tries to block him. 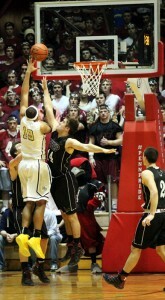 Neumann-Goretti senior John Davis goes up to block Prep’s senior Stephen Vasturia. Numann-Goretti senoir John Davis plays hard with Saint Joe Prep’s Kyle Thompson on his tail. 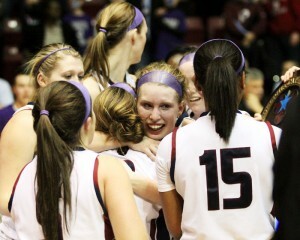 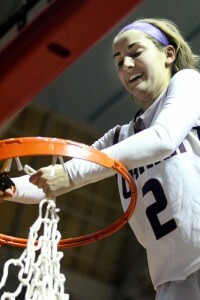 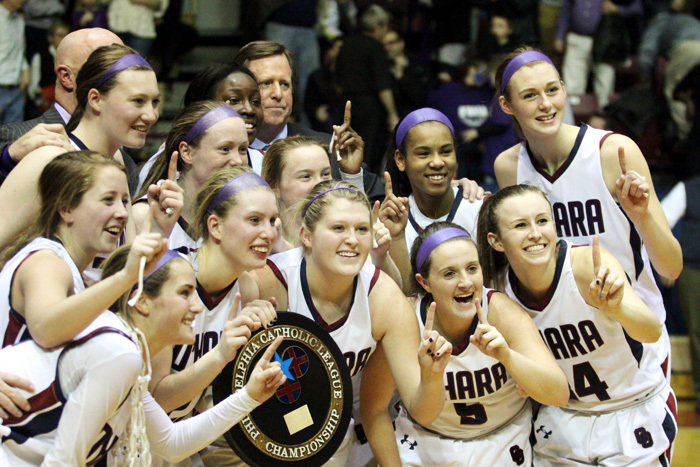 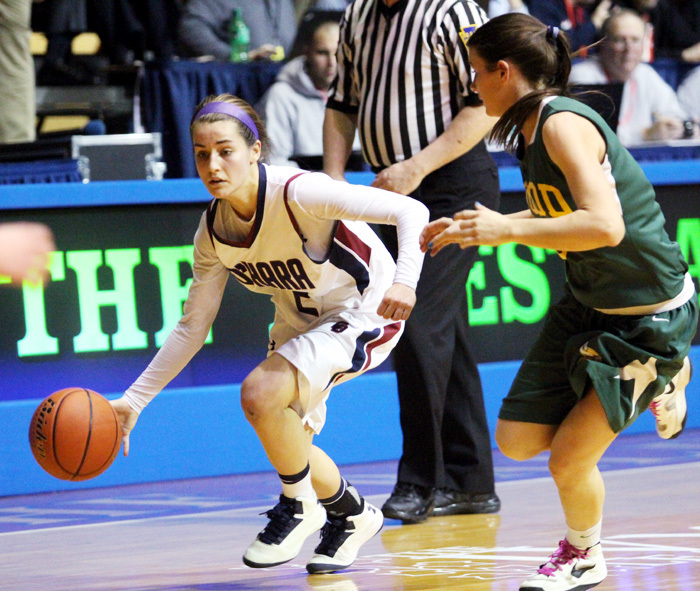 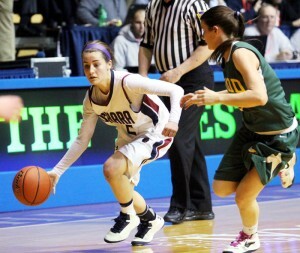 Cardinal O’Hara’s Rachel Guy hugs fellow teammates after winning the championship game. 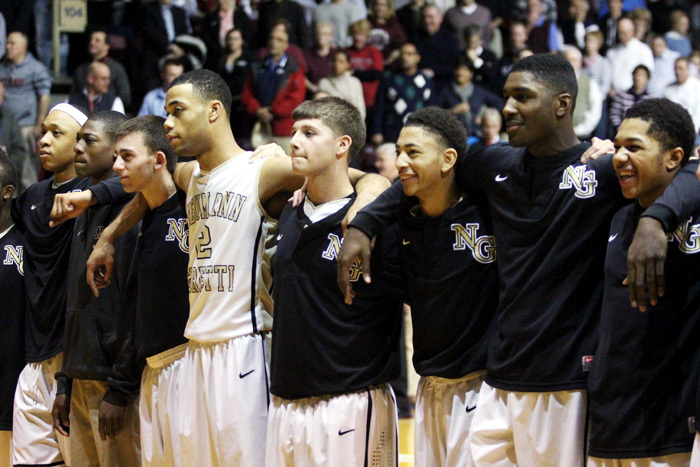 Nuemann-Goretti boys basketball team comes together for prayer before the championship game. 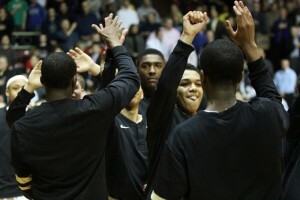 Lamarr Kimble high fives fellow teammates before the game. 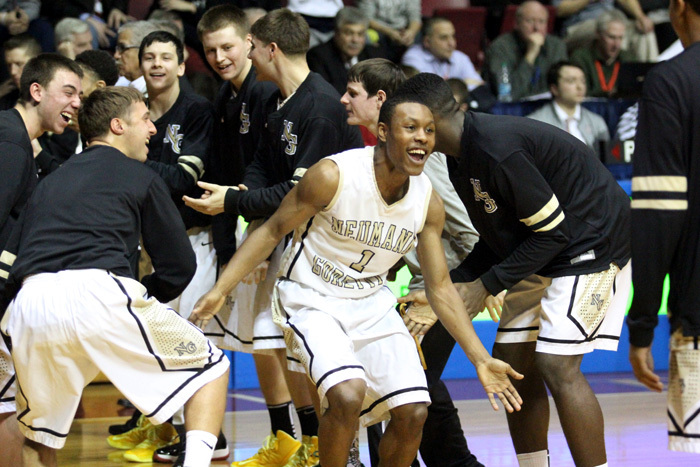 Neumann-Goretti gaurd #1 Hanif Sutton enters the court excited to play.